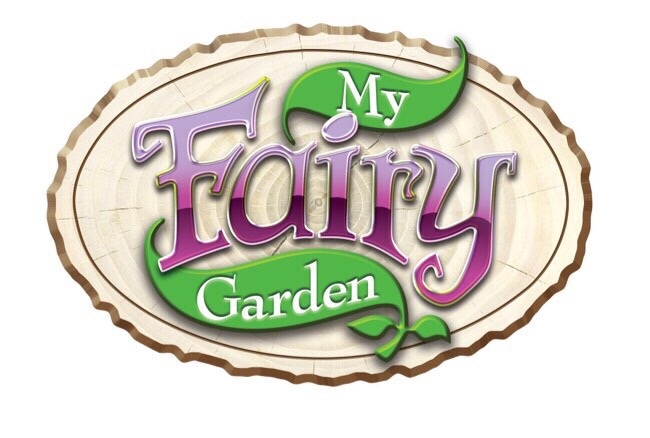 We love fairies and we love making fairy gardens even more. We have recently reviewed the Unicorn Garden from Interplay. Bob loved it! Imagine our delight when we heard that there was a new light up fairy garden! It has all of the fun of the original garden and it lights up. It would be lovely in a child’s bedroom. 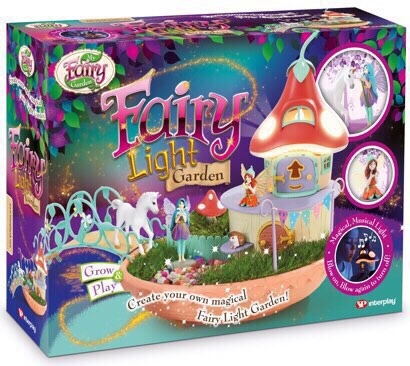 The new Fairy Light Garden is a wonderful grow and play set. The home of Fairy Belle and Fairy Elvie with Unicorn Foal and Hedgehog, it has wonderful secret spaces and cute accessory play pieces. 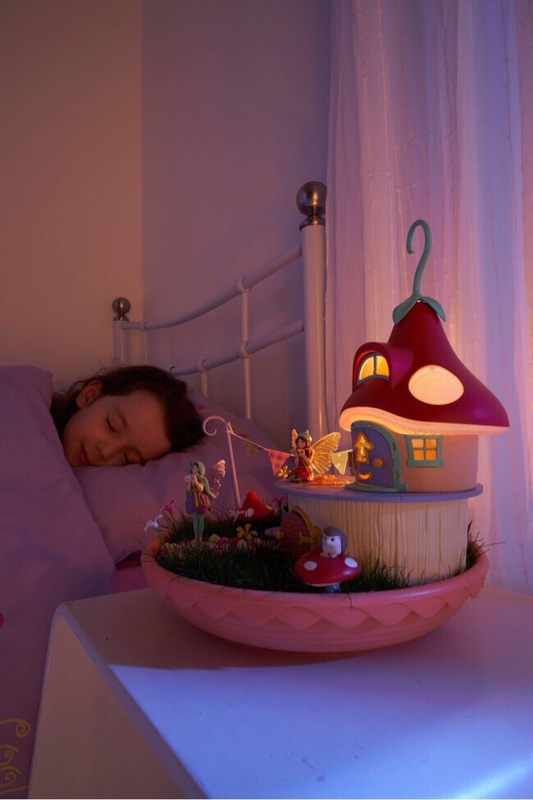 The enchanted fairy mushroom home doubles as a night light. Simply blow on the magic candle through the window to make it light up. It also plays gentle harp music! The gentle illumination is the perfect nightlight and a great way to help children drift off to sleep. Children will have great fun setting up the Fairy Light Garden and growing the grass to create a beautiful fairy home. It comes with grass seeds and everything you need to set up the garden – just add compost. 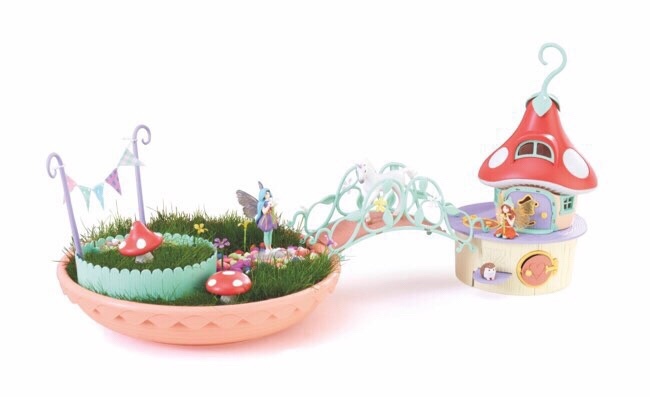 There is a secret tunnel and hidden home for the little hedgehog friend and a beautiful bridge that can connect to the other My Fairy Garden products. To celebrate the release I have 2 Fairy Light Gardens to giveaway. There are many ways to enter using the Rafflecopter below. Good luck! I liked the centaurs in Harry Potter, and I also like the idea of mermaids. I love fairies, when I was a child I used to love reading The Faraway Tree and can’t wait until my little one’s old enough to have it read to her at bedtime. definitely unicorns in our house! For me it has to be unicorns they are so pretty! I love unicorns and fairies – but you do know they are real don’t you?!!! Dragons. I have a cross-stitch chart I want to do of one. I think we would make our own a mermaid with fairy wings and a unicorn horn…. she would be amazing!! Fairies, they are so lovely! My daughter and I both love unicorns. Faries thanks to my mum who is still certain that they live in her garden. For me it’s mermaids but my daughter loves fairies. She’s made her own fairy garden outside with lots of flowers which she’s been caring for herself. She’d just love this! Has to be unicorns in this house – my daughter is OBSESSED! fairies- we have one living at the bottom of our garden which the grandchildren love. I love ELVES…. mischief all around.